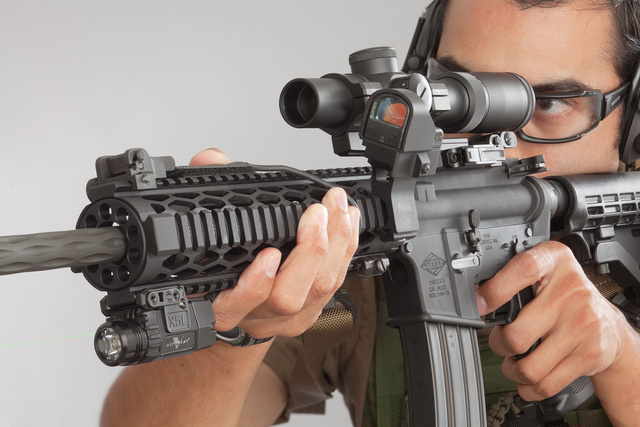 Belt and Suspenders: five sighting options for a modern rifle. This entry was posted in light/laser, rifle and tagged CTD, red dot, scope, YHM. Bookmark the permalink. That’s one of those Daniel Defense 1OC angled mounts isn’t it? I was thinking of a 45° type mount but came across those. Thinking a Bushnell TRS-25 on one of those for the FAL….